Kia has added a new Quantum variant to the Picanto range. Priced from £11,895, the Quantum comes with 15-inch alloy wheels, automatic air conditioning, keyless entry and start, six-speaker audio, automatic headlights and a sunroof, plus electrically folding and heated door mirrors. The Quantum is only offered as a three-door finished in Titanium Silver, with black cloth upholstery. Power comes from a 1.25-litre petrol engine producing 85PS and 120Nm of torque, with emissions of 106g/km and economy of 62.8mpg. An automatic variant is offered for £12,495, with emissions of 130g/km and economy of 50.4mpg. 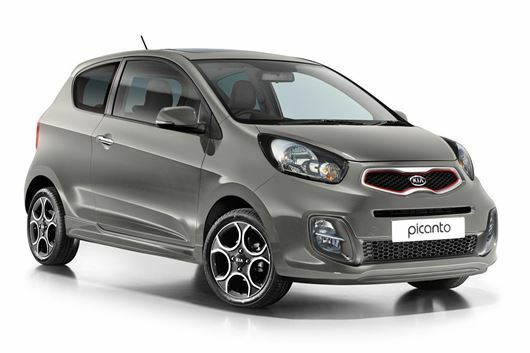 The Picanto Quantum is part of Kia’s line of ‘Originals’ models – editions witch colour palettes and options that changed seasonally, as with clothing fashion. The Kia Picanto Quantum is available to order from Kia dealers now.